Last month North Dakotans went to the polls. You know, the state with the lowest unemployment in America; the state that is quite literally Drilling its way to prosperity. That one. Well, one of the bills that was voted on, was whether to amend the state constitution, abolishing the statewide property tax. Unfortunately, it was soundly defeated. Why would one even propose such a thing, you ask? How could they possibly do without that revenue, you ask? What about the teachers, the police and firefighters? Would they not all be laid off? That is what we hear, is it not? Whenever anyone even suggests cutting the budget or lowering taxes (much less constitutionally negating one), do we not hear the wailing of discontent? Apparently the world as we know it will cease to exist. Moving on. 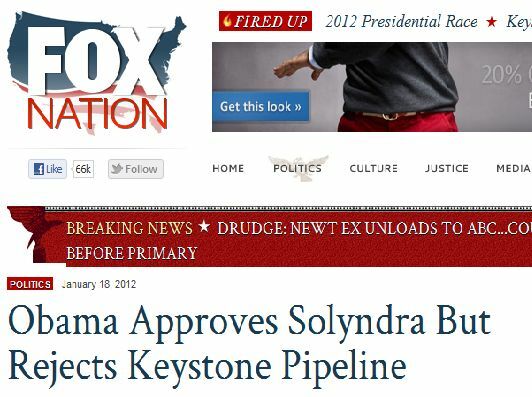 You see, North Dakota is awash in dirty oil cash. So much, I heard they are rolling it up and using it for kindling to light their fireplaces. Well that’s what I heard! All right, that’s not exactly true., but they are in as good or better shape than any other state in the Union. So if they have all this oil revenue coming in, why not abolish the property tax? 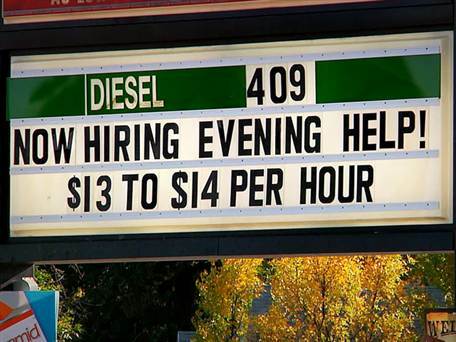 Do the citizens of North Dakota really like paying taxes or could it be people are afraid the oil might run out? Or maybe they’re afraid the feds will find a way to come in and shut them down. That’s probably more likely, but the fear mongering of elected officials & public employee unions have been very effective. The constant drumbeat of needing more funding by the public sector can and does cause voter paralysis. Well, I know the oil won’t be running out for centuries. I recently published an article explaining how I know. Link here to read it. So that’s not it. That leaves us with the ever intrusive federal government and the fear mongering of the public sector. I have no doubt that in the backrooms of the Whitehouse and the EPA, they are developing strategies to kill the North Dakota oil industry. Just look around. They’ve already banned drilling off virtually every American coast. The BP spill, which turned out not to be the catastrophe they predicted, pretty much cemented that. 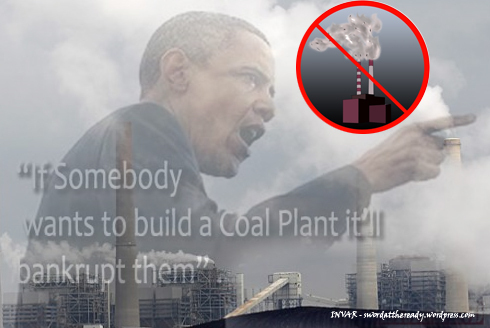 The Feds are well on their way to regulating the coal industry out of existence and let’s not forget the full-scale assault on hydraulic fracking for natural gas. At least we still have windmills & algae. Hooray! Then there’s the sainted public sector, complete with their rent-a-mob thugs that get bussed from state to state threatening & wreaking havoc upon any state that dares attempt to cut their budget or otherwise right their fiscal ship. To date, there has been only one Scott Walker, governor of Wisconsin, with the stones to stand up to the onslaught of leftist attacks. In my opinion, he may be the only true public servant in the country. By that I mean, he stood up for what he believed was right without regard for his job. He knew he could have lost it all, yet he persisted. 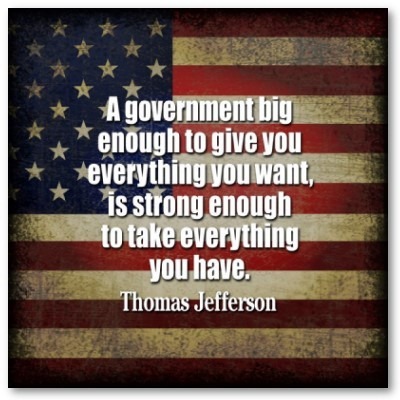 That is the founders view of a public servant. I understand the public fear of the federal government, especially this one. 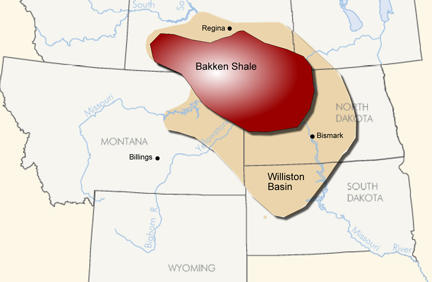 If left unchecked, they will find a way to curtail North Dakotas oil production. What I don’t understand is the overarching fear of the loss of excess tax revenue. The state has proven they don’t need the revenue yet the voters still rejected it by about a 3 to 1 margin. Do they not get that there is no such thing as excess revenue in government? If money is coming in, it will surely be spent, thereby, simply expanding the baseline of the state budget. If, in the future, there is a disruption in oil revenue, what happens? Taxes will then have to be raised even further to accomodate for that shortfall. By rejecting the amendment, they have potentially made it worse for their state. Instead, they should have accepted the amendment, doing away with the property tax. If, for whatever reason, the oil revenue does evaporate, the state can always go back to the polls and reinstitute the tax. The moral of this story is a sad one. If a state that can afford to, but won’t cut taxes, what chance do the rest of us have? How far have we fallen. Could we really not survive without government? Maybe we really have become a cradle to grave Nanny State society. 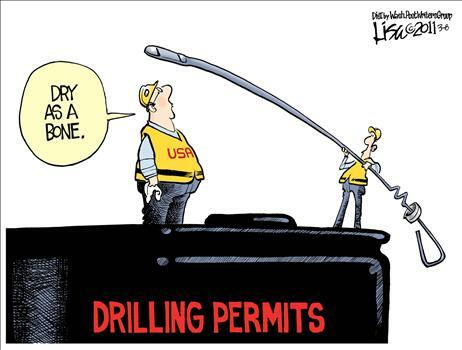 We Can’t Drill Our Way Out! 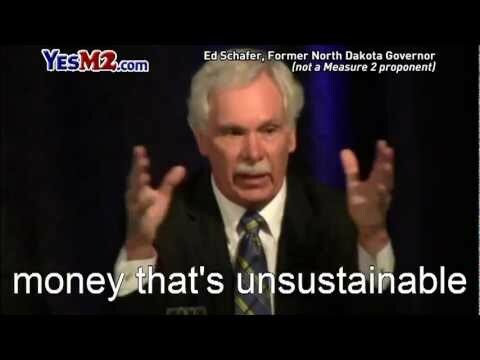 North Dakota is experiencing such a boom in revenues from oil production that voters actually considered a measure to abolish the state’s property taxes. Although the measure was defeated in the June 12 vote, the fact that it was even considered points to the incredible economic opportunities enjoyed by North Dakota residents due to unfettered oil production. “It turns out that, yes, we can drill our way out of our problems,” Investor’s Business Daily (IBD) observes in an editorial. North Dakota in March pumped oil at the rate of 575,490 barrels per day, replacing California as the nation’s No. 3 oil-producing state behind Texas and Alaska. At its current rate of production growth, North Dakota will likely surpass Alaska sometime this year. 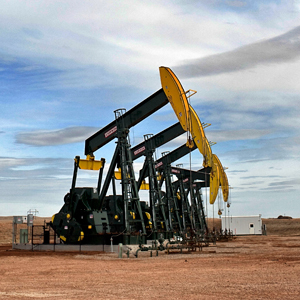 Continental Resources, which operates 10 percent of the drilling rigs in North Dakota, estimates there are more than 900 billion barrels of oil in place. Only 27 billion to 45 billion barrels are currently recoverable using today’s technology, but that amount will grow as technology advances. So let’s meet halfway and say 36 billion barrels. That’s 4% of estimates. A current extraction rates, that’s about 173 years. Thanks to the energy boom, North Dakota has the nation’s lowest unemployment rate at just over 3 percent, and Williams County — at the center of the drilling boom — boasts the lowest jobless rate in the country at just 0.7 percent. Oil revenues in the state generated some $840 million in fiscal 2011 and are expected to deliver more than $2 billion over the next two years. State per-capita income is $4,000 above the national average. 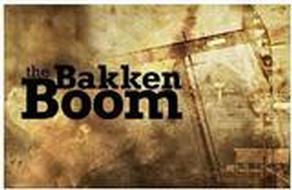 “The North Dakota oil boom has occurred on private and state lands, unfetter ed by federal edict that has placed out of reach much of the estimated 200-year supply of oil within our borders,” IBD stated, noting that 94 percent of federal onshore lands and 97 percent of federal offshore lands are off-limits to oil and gas drilling. 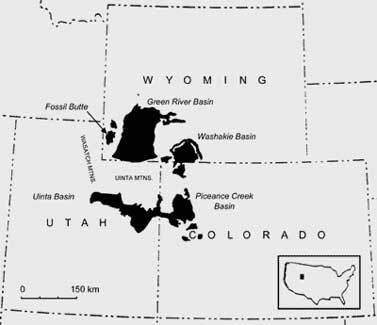 As the Insider Report disclosed earlier, the Green River Formation, a largely vacant area where Colorado, Utah, and Wyoming come together, contains about as much recoverable oil as all the rest of the world’s proven reserves combined. But most of the oil is beneath federal land overseen by the Department of the Interior’s Bureau of Land Management, and the government has “locked up” development of the huge resource. “Critics will say North Dakota is a small state and its success couldn’t be replicated nationwide,” IBD concludes. “Oh, yes it can. If experts claim to have calculated a 200 year supply, I contend it is likely a lot more. Billions of dollars of infrastructure improvements have been made in recent years to allow North Dakota’s oil shipping capacity to keep pace with the skyrocketing production. North Dakota is the nation’s fourth-biggest oil producer and is expected to trail only Texas in crude output within the next year. Alison Ritter, a spokeswoman for the state Department of Mineral Resources, said the state’s so-called takeaway capacity is adequate, though producers and the state were counting on the on the Keystone XL to move North Dakota crude. Shipping crude by pipeline in North Dakota adds up to $1.50 to its cost, compared to $2 or more a barrel for rail shipments, producers say. 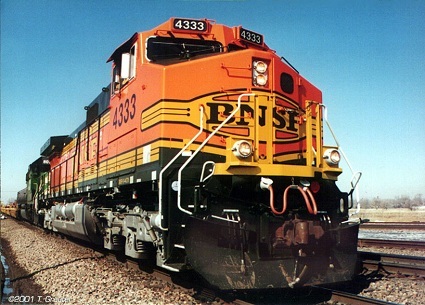 “Oil that would have moved by the Keystone XL is now going to shift to rail transportation,” Ritter said. I hereby dub thee, Friend of Obama. 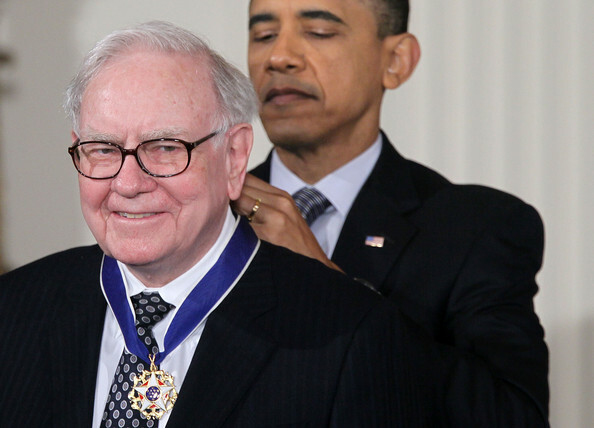 For some reason, nobody from BNSF or Berkshire Hathaway would return the AP’s telephone calls, but oilman Harold Hamm told them he was sure this was just a wonderful “lucky break” for Barack Obama’s favorite billionaire, who is “certainly favored by this decision.” I’ve heard Buffett’s famously overtaxed secretary will be a guest at the State of the Union address tonight. Maybe someone could ask her about it. The “tax me more” refrain from liberal billionaires is one of the oldest sucker games in the book. For the well-connected, the money that can be made through government power – whether by influencing corrupt politicians, or merely predicting what they’re going to do – dwarfs whatever income they offer to cough up.